Rivers Edge Equestrian Ltd. is a newly started family run business born out of a love for horses; some would even say it’s an obsession. We are the exclusive Canadian Super Scooper Distributor, a tow behind pasture cleaner. This is a product we discovered last year when we were struggling with our own pasture management issues. Picking up what your horses are putting down. THE REASON WE DECIDED TO START RIVERS EDGE EQUESTRIAN LTD.
We love our horses and of course we want the best for them so we pick the pastures by hand every year… this takes hours, but we know that clean pastures mean healthier horses so we did it. Before we found this product we were beginning to lose hope of excelling with our horses because most of our time was going into their care and little was left for riding. The Super Scooper pasture cleaner has given us the ability to keep our pastures pristine and have lots of time left for doing what we love and that’s spending time together as a family with our horses. As a long sufferer of back and shoulder pain, the Super Scooper has been wonderful. 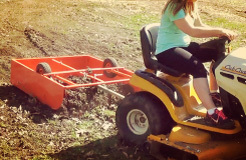 I have my weekends back and no longer spend hours cleaning up manure with a wheel barrow and shovel… the Super Scooper is fantastic! I am an industrial user and the Super Scooper keep my paddocks clean. I purchased my Super Scooper two weeks ago and love it! It can be towed behind a quad or lawn mower and is extremely user friendly. 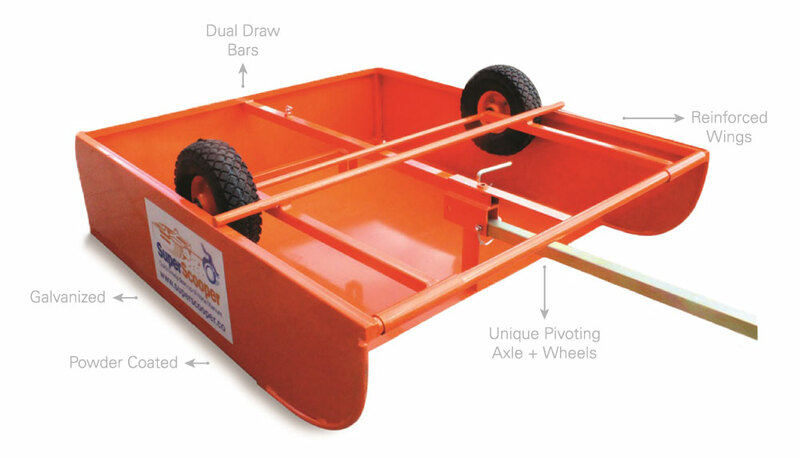 Tow to collect manure then fold wheels under and use as a trailer to take poo to your garden. Check out the footage of the Super Scooper in action - you’ll be sold too!! Brilliant product. The system tows beautifully. Picked up poop very quickly and I had a 1 acre area done in a very short space of time.